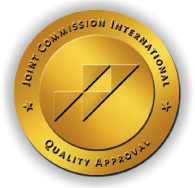 Oakland Home Health Care Services, Inc., is an accredited privately owned, free standing proprietary home health care agency accredited by the joint Commision on Accreditation of Health Care Oranizations (JCAHO). Our Mission is to provide quality care to our clients in the comfort of their homes. We recognize the unique physical, emotional and social values of each client. We promise to make each patient a very important patient. Oakland Home Health Care, Inc., provides care to a person regardless of religion, race, age, gender, nationality, sexual orientation or disability.